Yet another title is coming to the Nintendo Switch’s lineup of SEGA Ages titles. 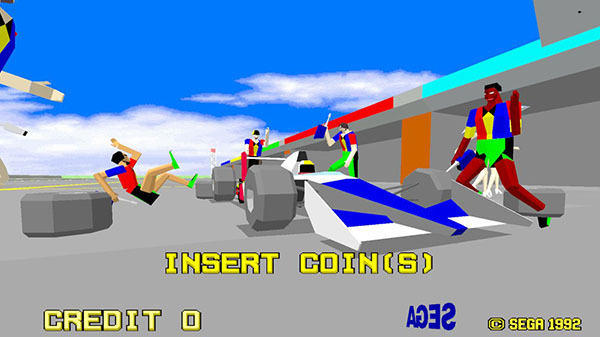 This time it’s the AM2 developed racing game Virtua Racing, a formula one racing game notably being the first title in SEGA’s series of “Model” arcade boards that would later power games such as Virtua Fighter. At Tokyo Game Show 2018 SEGA has formally revealed the game will be coming to the lineup in the future, though has not specified any details such as a release date, pricing, or any bonus content like the other SEGA Ages titles. In addition, SEGA has revealed the results of their official SEGA Ages poll on Twitter, asking what games people want to see in the collection in the future. These results are based on general franchises instead of specific games unless stated otherwise. Click below to see the results. It’s pretty clear that cult classics like Shenmue and Jet Set Radio are leading the pack, along with arcade staples like Virtua Fighter and Puyo Puyo floating around the top 10, but remember that none of the above will necessarily be guaranteed to be apart of the SEGA Ages lineup. But one thing’s for sure, it’s clear that people want to see more Jet Set Radio in the future. A new JSR game would be great. A remaster for PS4 and X1 would be good in the meantime. On the fkin Switch again as an exclusive? No thanks. Outrun 17th? Daytona 19th? SEGA Rally 26th? I’m done with SEGA fans. What about Samba de Amigo? No? Okay. Sega Rally, Daytona and Touring car deserve so much more love!